If you own a motorcycle in Montana, you are required by the state to register and title it before you ride it. 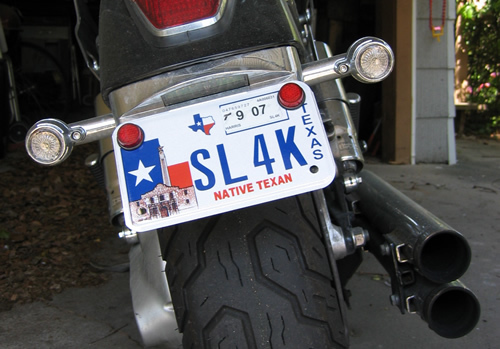 The process of motorcycle registration and titling in Montana is the same as that of the registration and titling a car. If you are a new resident in Montana, you have to register and title your motorcycle within 60 days of obtaining Montana residency. If you are a nonresident earning your paycheck in Montana, you are required to register your motorcycle at your local county treasurer office. You are given an option of registering your motorcycle by the calendar month. Your renewal notice or your previous year’s motorcycle registration certificate. $53.25 flat fee if you intend to legally use your motorcycle on streets. $114.50 if you intend to legally operate your motorcycle on the street and off-highways. $5 Montana Highway Patrol Salary and Retention Fund. The Motorcycle Safety Fee is used to fund various motorcycle safety training courses. The Montana Highway Patrol Salary and Retention Fund are used by Montana Highway Patrol to maintain the manpower numbers.